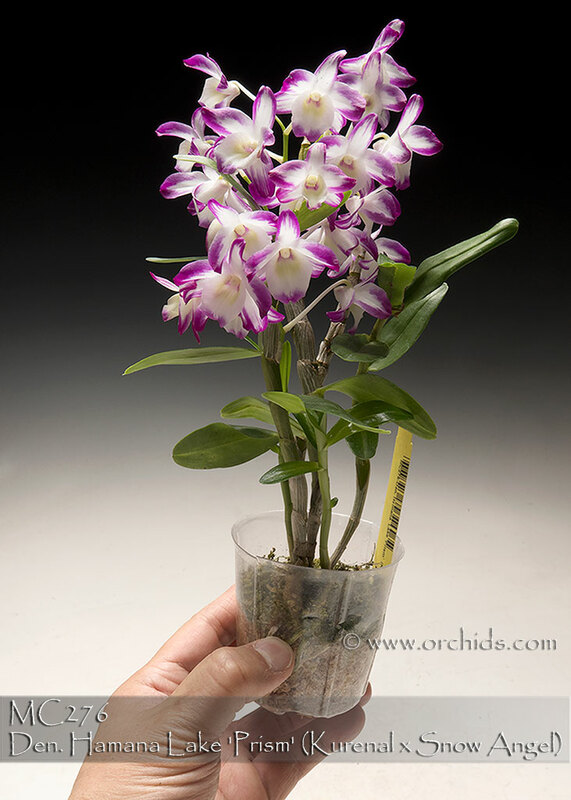 An exciting new picotee miniature Dendrobium! Another clone of this hybrid, 'Kumi', produced flowers that were solid pink with a large contrasting white lip. This clone, 'Prism', is a rare chance mutation from a population of Den. 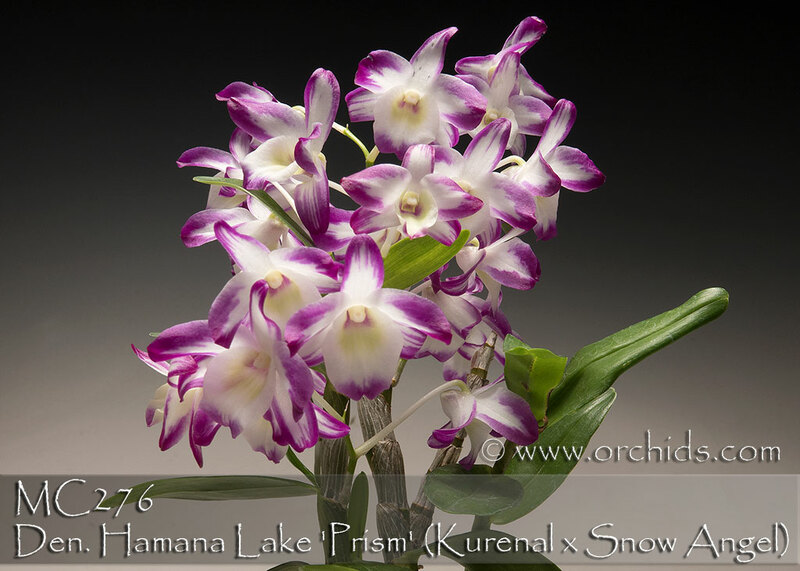 Hamana Lake, producing fragrant flowers with a broad pink picotee surrounding all the segments of its white flowers, with this clone being even smaller than the original hybrid. To assure that all will flower with this picotee, we have propagated these as keikis, not mericlones, from the mother plant in Japan, a slow four-year process. An even more compact grower than our immensely popular warmth-tolerant miniature, Den. 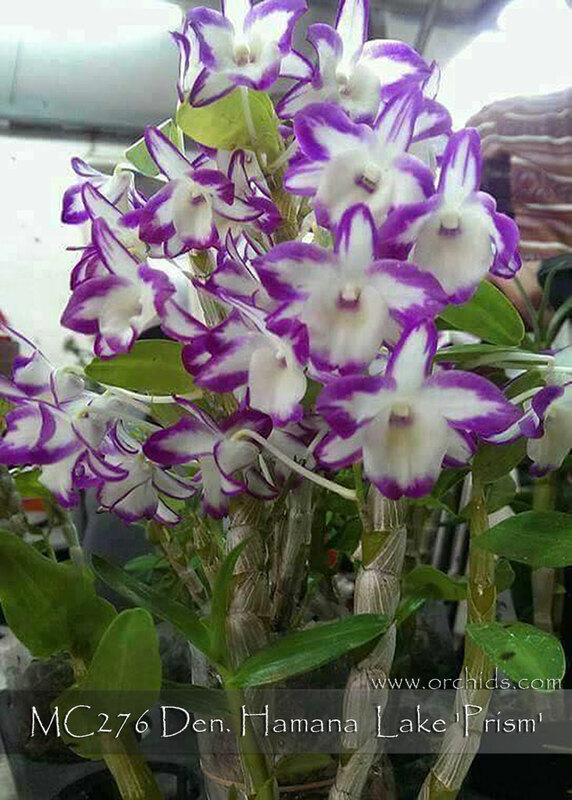 Angel Baby 'Little Darling' AM/AOS, it's also capable of flowering more than once a year on a mature plant. 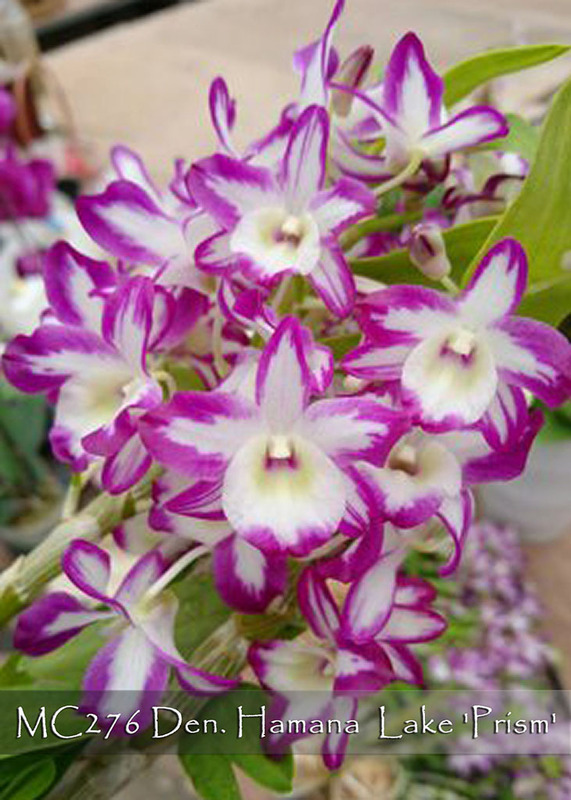 Although it has nobile Dendrobiums in its breeding background, if grown warmer and kept moist it will retain its leaves and can flower again on previously flowered canes in addition to those newly maturing. An extremely weather tolerant clone, it’s capable of flowering even under the higher temperatures in Florida. A sensational statement when in full flower and a real charmer ~ small enough to fit anywhere and showy enough to be noticed. Limited and Very Highly Recommended!